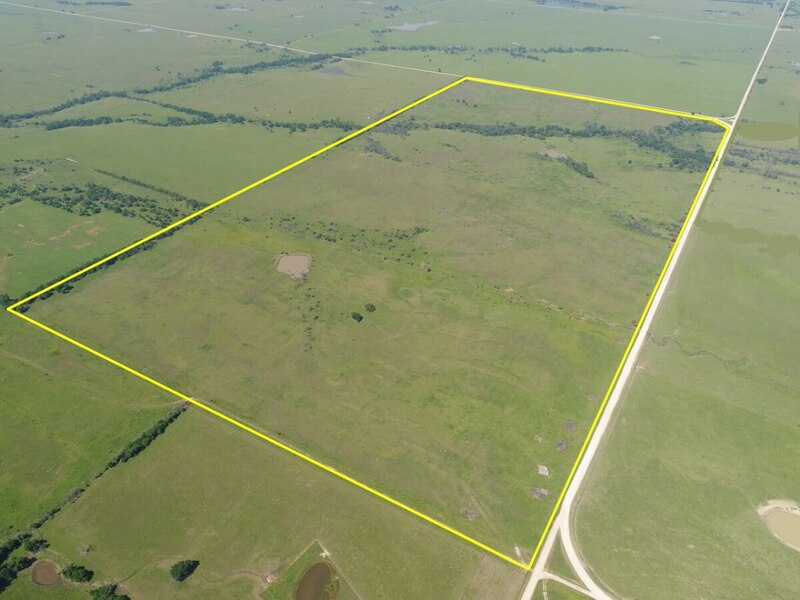 PROPERTY DESCRIPTION: 299.6 taxable acres of Greenwood County pasture and hunting land south of Eureka, Kansas. This property offers a nice combination of bluestem pasture and cool season tame grass to allow extended grazing seasons. Timber lined draws and hedge rows offer wind break and cover for both livestock and wildlife. Water is provided by ponds and a wet weather draw. Access is excellent, via a highly maintained township gravel road. Fences range from average to above average. Invest in Kansas Land! LEGAL DESCRIPTION: The North Half of Section 6 Township 27 South, ALL Range 10 East of the 6th PM, Greenwood County, Kansas. LAND LOCATION: From Piedmont Ks (HWY 400), North on K Rd 6 1/2 miles OR from Eureka Ks, Southwest on the Eureka/Piedmont Rd 6 miles.